The Kas di Pal’i Mashi is a small museum in a traditional adobe house with a thatched roof. Kas di pal’i maishi literally means house of corn stalks, because the roof was made of this. 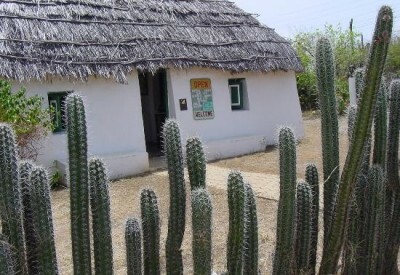 The rural population of Curacao lived in houses like these till the year 1950. Some have been preserved and even restored. Grab a seat during lunch in the backyard of the kas di pal’i maishi for delicious local dishes.